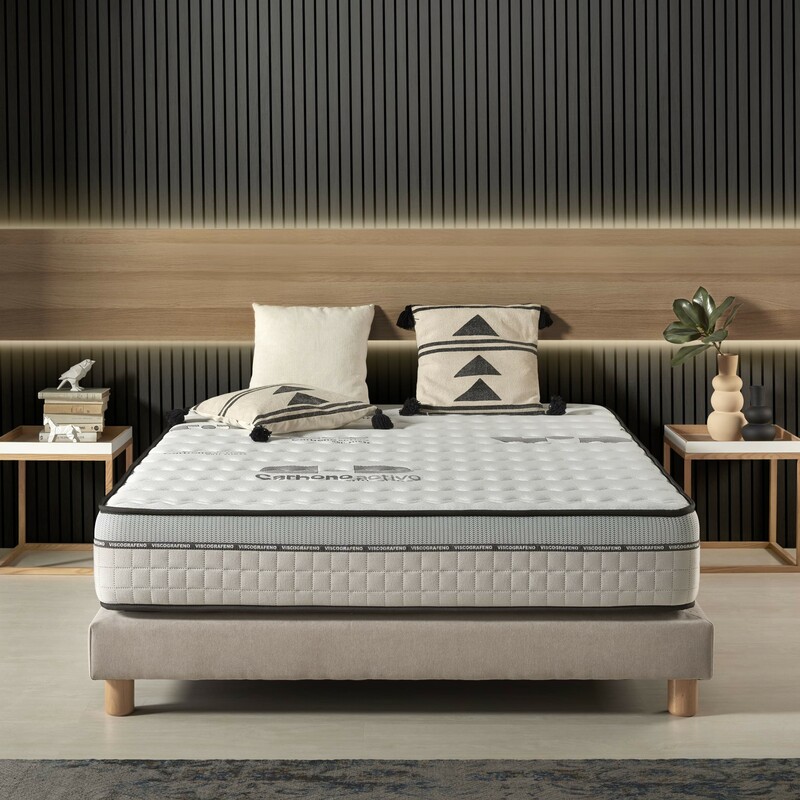 A high-end memory foam mattress with carbon fibres containing anti-stress properties sewn into the cover. 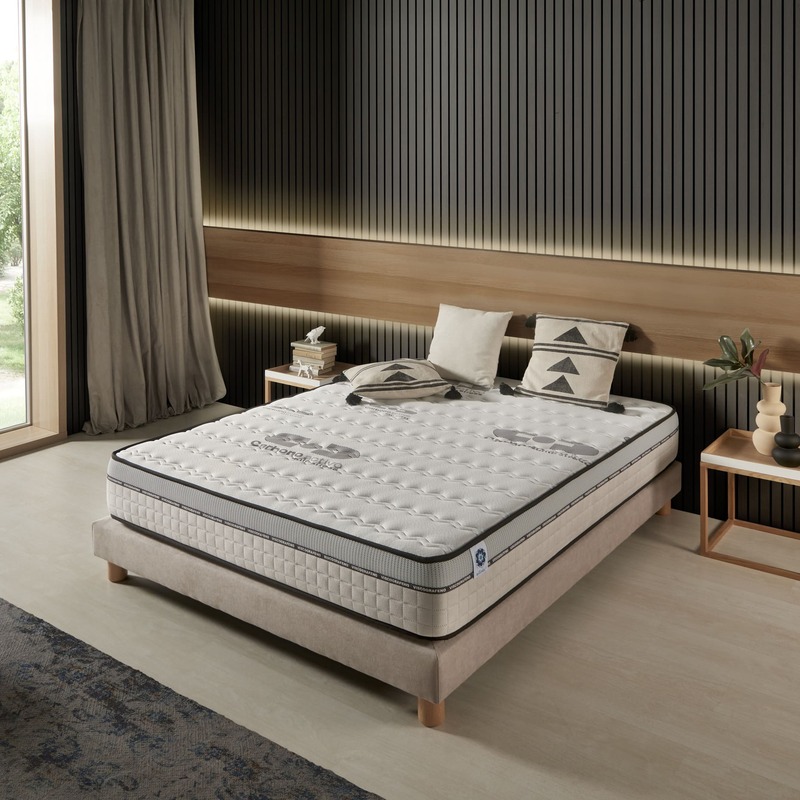 The Visco Carbone memory foam mattress combines the most advanced technologies developed by Naturalex. The presence of carbon fibres in the fabric creates a barrier against electromagnetic pollution and the electrostatic charges that now invade the environment in which we live. It also features anti-bacterial, antimicrobial and anti-odour protection. With a 25cm thickness, this model features a dual density (35 and 40kg/m3) core of Aero Latex® supportive foam. This material has all the qualities of Blue Latex®: balanced comfort, zero motion transfer and the flexibility of latex but combined with foam of higher resilience. Interchangeable and with dual seasons, high density Bio Memory® visco elastic foam features on the winter side. 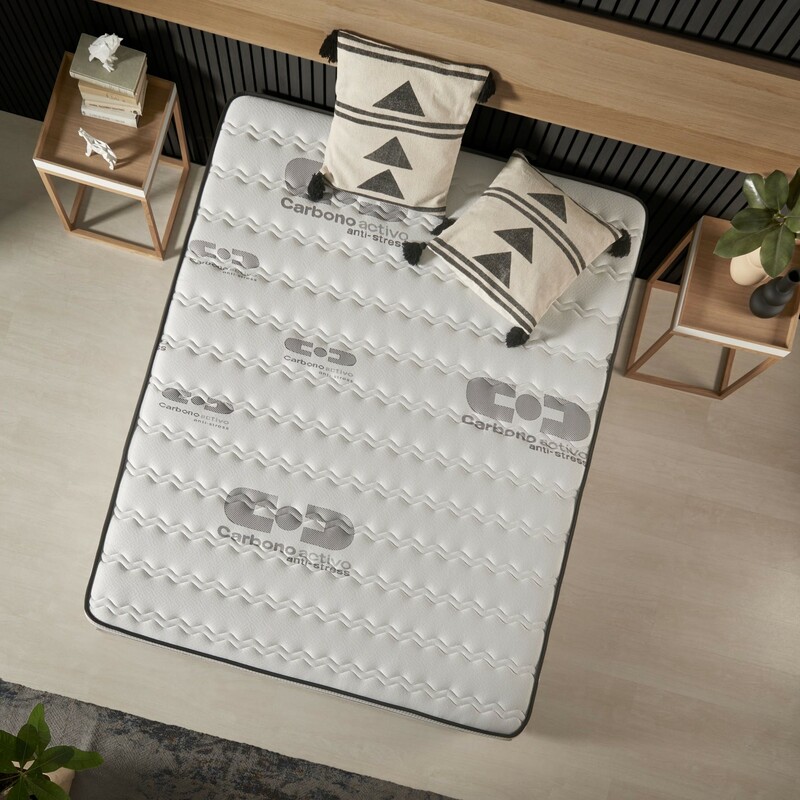 This foam has been developed by Naturalex with four main objectives in mind: ease of movement during your sleep, disperse your weight evenly throughout the mattress, reduce painful pressure points and maintain healthy blood flow. Enriched in Arandi oil (Castor oil), known for its moisturising properties, the Bio Memory® is soft, resistant and flexible at the same time. Enjoy the comfort of visco elastic foam in summer too! Visco Carbone features a layer of Viscotex® memory foam on its summer side to prevent back problems, improve blood flow and relieve your aching muscles. It features the Air Fresh® system and a 3D air mesh fabric cover for ultimate breathability throughout the mattress. Available in various comfort levels from balanced to hard.